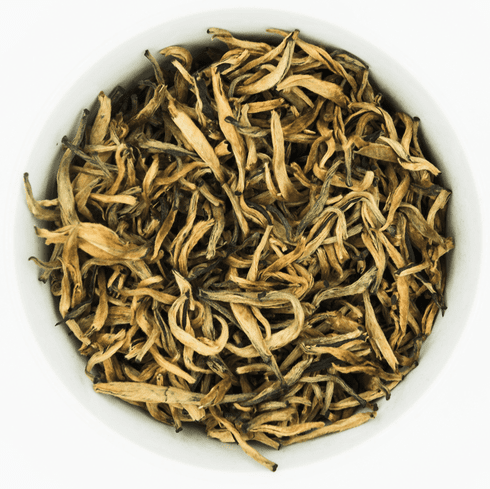 Yunnan is a region in China known for producing excellent black tea. Yunnan black is famous for its fat golden buds and Ten Ren's 1st Grade Yunnan Black Tea has a high concentration of these golden buds. Tea brewed from Ten Ren's 1st Grade Yunnan Black Tea has a reddish brown color. The aroma is strong sugary and floral with a slight roasted undertone. The taste is smooth and sweet and the aftertaste is refreshing and clean.